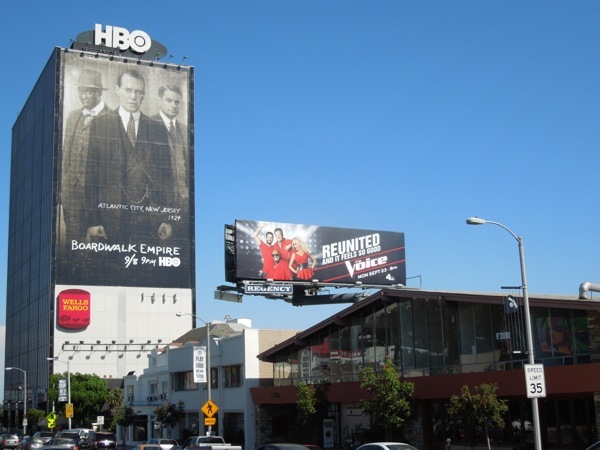 Welcome to another TV WEEK here at Daily Billboard where lots of your returning favourites and fresh new shows and their promotional billboards await. 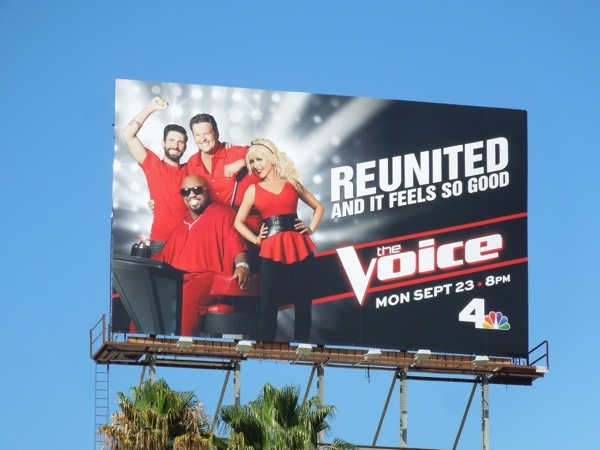 First up the original gang's all back together on the U.S. version of The Voice and it looks like they're feeling good about it. After Shakira and Usher filled in for Christina Aguilera and Cee Lo Green last season, the two original mentors are back and Xtina isn't the only one sporting a new look with her slimmer figure, as Adam Levine is even sexier with his new beard. 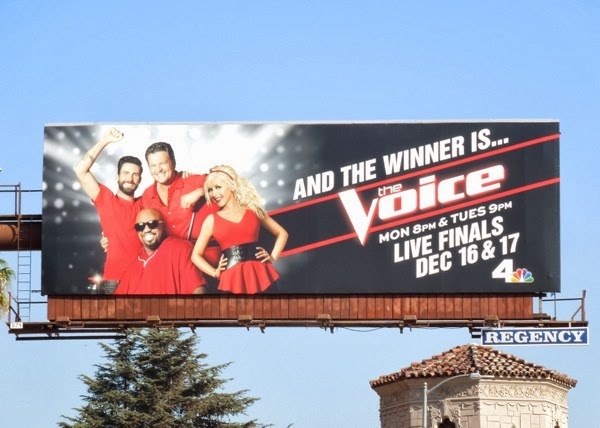 Along with country singer Blake Shelton the famous four are back in the spotlight and the ad creative's 'Reunited' headline reiterates what Daily Billboard has said in the past, these talent shows are now all about the theatrics and drama of the judges, and not the talent they purport to champion. 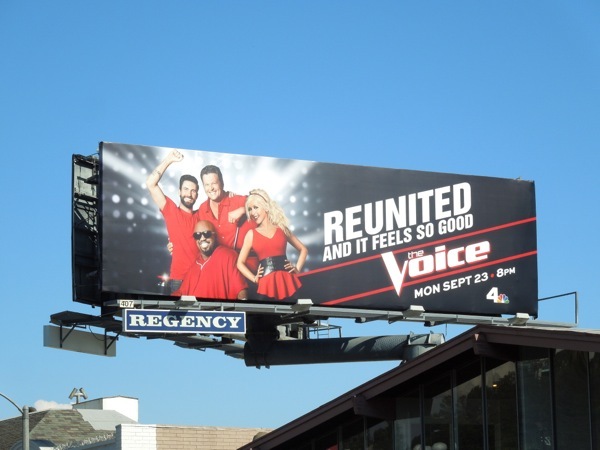 Still it's all great entertainment, so get set for another season of songs, guest stars and no doubt tears aplenty. 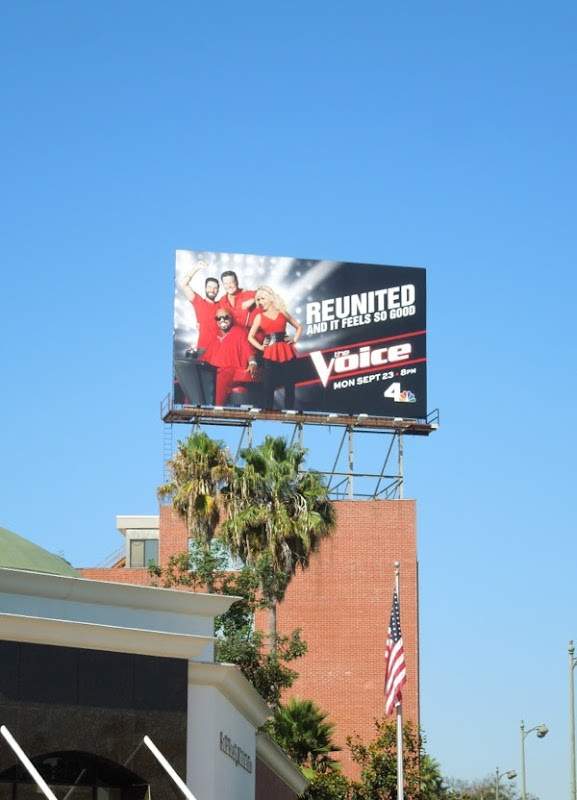 The squarer format billboard for the fifth season of The Voice was spied high above Wilshire Boulevard on September 6, 2013, whilst the landscape creative was snapped along L.A.'s busy Sunset Boulevard the next day. 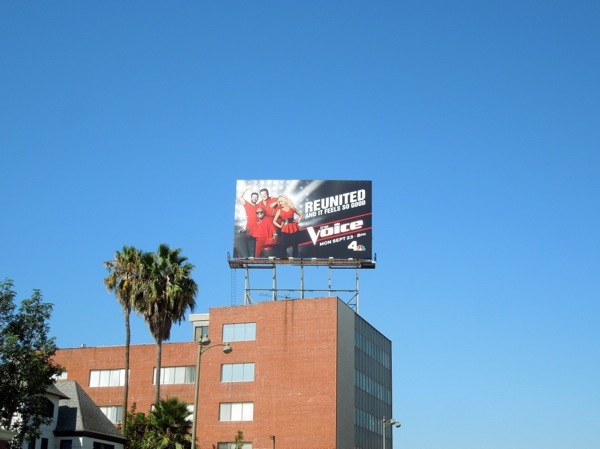 If you're a fan of the series, be sure you also check out the billboards for The Voice season one, season two, season three and the fourth season here at Daily Billboard. 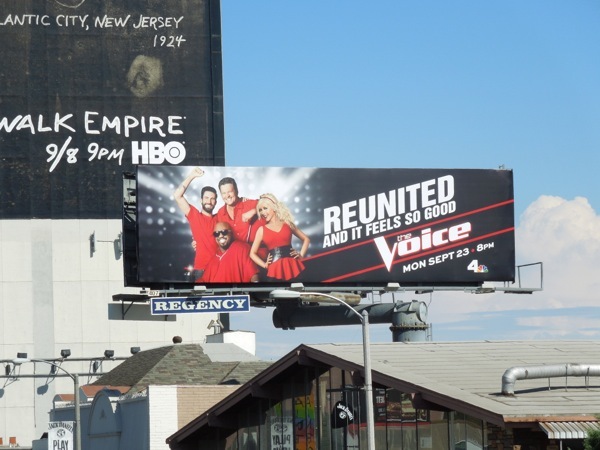 Now stick around the rest of the week for more cool television billboard ads filling the skies of L.A. for the new fall season. 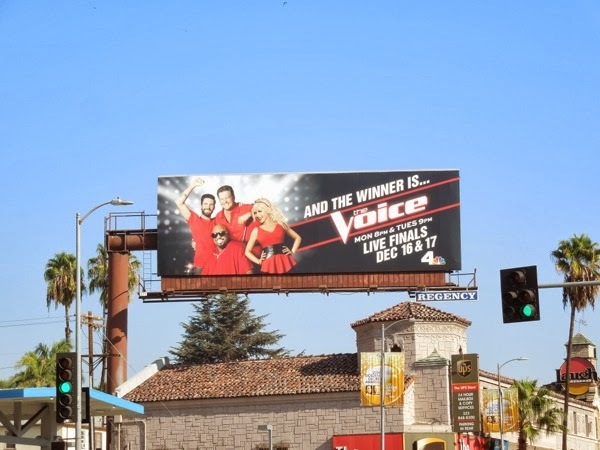 UPDATED: Here's an amended creative for the live finals of The Voice's fifth season, spied along Sunset Boulevard on December 22, 2013. And the winner is... Tessane Chin.